TO Hong Kong director Peter Ho-Sun Chan, working on his first musical film Perhaps Love was unlike any film he had directed before. But putting aside the songs and dances, it was still a love story first and foremost to him. And that’s what Chan is best known for, having directed such acclaimed films like Comrades, Almost A Love Story (1987) and She’s a Man, He’s a Woman (1994). Chan, 43, got back to the director’s seat after directing Three, a collaboration with Korean and Thai film-makers three years ago (in between he financed and produced a number of movies), and before that forayed into Hollywood, directing The Love Letter for Dreamworks. When he was approached to make a Chinese musical, Chan initially had his reservations. "Although I enjoy musicals, I am not fanatic about it. Rather, I am a skeptic," he said in an interview in Kuala Lumpur recently. "But it’s also because that I believe I can make some logic out of the genre for me and moviegoers. More and more people are watching movies at home on DVD and VCD. So I was thinking, what can I do to add to my kind of love story to get people to watch it on the big screen?" A musical love story was the answer. Then he had to work out how to balance a reality-based emotional drama with flamboyant song and dance scenes. "It was difficult as my kind of love story is neither sugar-coated nor dramatic. It is more on internal struggles." It took Chan two years to write the script and six months to edit the final work. Perhaps Love has been labelled the Chinese Moulin Rouge but Chan thinks it is just a ‘convenient way to compare two movies’. "When two movies are about the stage, obviously they have something in common but in terms of pacing, storyline and everything else, it is totally not Moulin Rouge." Rather, Perhaps Love is about a director - Jacky Cheung, and two actors – Takeshi Kaneshiro and Zhou Xun – making a musical, and the only musical scenes take place in the musical within the film. "People don’t break out into songs and dance, they sing only when the curtain rises. But it happens that the love triangle in the musical they play reflect the love triangle in their real lives. "It is like a film within a film," he said. "The movie emphasises narrative and only 30 per cent of it is musical. It is not your typical musical." On his flight to Mumbai – his first trip ever to India – an Indian flight attendant recommended he had to get Farah Khan, saying she was ‘the best’. True enough, after meeting close to 10 choreographers, Chan decided only Farah fitted the bill as not only was she a brilliant choreographer, she could communicate what she wanted. But later, Chan said he realised post production and editing work were even tougher. "I had to re-edit and re-edit and I’ve never edited so much for a film before. I had to draw a balance between a love drama and a musical extravaganza, the pacing and not let the musical scenes appear disjointed." Chan is ever busier now. He has been having only four to five hours of sleep and have been flying to a different country every two to three days. Prior to Kuala Lumpur, he had travelled to Los Angeles, New York, Singapore and many cities in China. On Dec 3, he would be back in Malaysia for a promotional tour with Kaneshiro, Zhou Xun and Ji Jin-Hee. Chan said he would give romance films a break and will be working on a historical drama temporarily titled Assassination of Ma, which is about three friends at a time of strife and war in the Ching Dynasty. "I’m also keen to do a realistic period drama and offer insights into the lives of the people then. All the period dramas that had been made were quite unrealistic and vague on the lifestyle then." It is unlikely that he would direct another musical. "I’m not sure I can get it right the next time I do it. And I think my health can’t take it," he said. So did he think he got it right this time? "I think so. I’ve done my best and now we just want people to come and watch it. "However, everyone has their interpretation of a movie. There is no point for me to defend it," he said with a smile. On a personal note, there had been reports that his long-term girlfriend, actress Sandra Ng is three-months pregnant but both Chan and Ng had never confirmed it. However, when the question was raised after the press conference, a smiling Chan just said: "Why don’t you wait and see. These things can’t be concealed for long anyway." Apparently, there were also reports that the couple had already quietly registered their marriage in Canada. BILLED as the first Chinese musical feature film in 35 years, Perhaps Love boasts a stellar cast of stars from Hong Kong, Taiwan, China and Korea, and acclaimed behind-the-scenes film makers. Veteran director Peter Chan is joined by Oscar-winning cinematographer Peter Pau (Crouching Tiger, Hidden Dragon), Asian heartthrob Takeshi Kaneshiro (House Of Flying Daggers), ‘Heavenly King’ Jacky Cheung, up and coming Chinese actress Zhou Xun (The Little Chinese Seamstress and Suzhou River), and popular Korean actor Ji Jin-Hee (famed series Jewel In The Palace). Renowned Bollywood dance choreographer Farah Khan helmed the musical scenes while the film’s original music is by Hong Kong’s Peter Kam and Leon Ko. The US$10 million (RM35 million) production, shot in Beijing and Shanghai, is a touching love story. It is also filled with spectacular set designs, breath-taking circus performances, mesmerizing Broadway-style musical numbers and punctuated by beautiful songs and dances. Perhaps Love has been selected to be screened at the Venice Film Festival and is chosen as Hong Kong’s entry to the 78th Annual Academy Awards in the Best Foreign Language Film category. Set in modern day Shanghai, this movie-within-a-movie features a love triangle plot between Zhou Xun, Kaneshiro and Cheung that parallels the actors' lives. Their jealousy, hatred and passion ignited by memories of the past collide and culminate through the intervention of a seasoned muse or a modern-day Cupid, who shares their joy and sorrow. It begins when a muse, Montage (Ji Jin-Hee), appears in Shanghai yearning to taste genuine human emotions and puts himself out as a beacon for lost souls. Famed actor Lin Jian Dong (Takeshi Kaneshiro), the star in a new musical helmed by renowned director, Nie Wen (Jacky Cheung) meets co-star Sun Na (Zhou Xun), who is an old flame from a decade ago. Sun is now in a relationship with Nie, who made her a star. DIRECTOR Peter Chan on his cast members, whom he picked not for their singing abilities but for their aura and physical resemblance to the characters he had in mind. "He can sing and act and I can’t think of anyone else that could play that character, who together with Takeshi, make a triangular relationship with Zhou Xun. "The fact that he is not that good looking but has a persona of a mature, good husband makes a girl difficult to leave him. "Jacky is one of the best and is probably the most under-rated actor in Hong Kong." 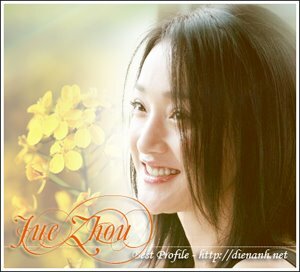 "Zhou Xun makes you cry. She was not chosen because of her popularity because to be honest, I think no actress in China is really that popular to command the box office. "The investor’s first choice was in fact to cast someone totally unknown but I couldn’t find anyone from about 1,000 I saw, besides Zhou Xun. "Although he only came on board later to replace the original person I had in mind (Andy Lau), I feel I could not find someone else to play the role of the muse better than Ji Jin Hee. "With his mellow and reliable disposition, he balances the extreme characters of Takeshi and Zhou Xun and he fits this remote character perfectly." Perhaps Love, funded by Astro Shaw (a subsidiary of Astro), with worldwide distribution by Celestial Pictures, will open in Malaysian cinemas on Dec 8, 2005.